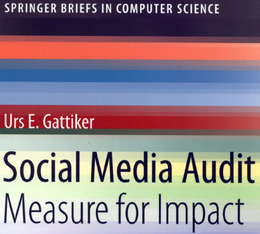 Not too long ago I evaluated a student research proposal focused on developing a guide to measuring and using social media marketing for better customer relationship management (CRM) and client satisfaction. Intended for an association, the guide would need to have an impact by supporting its members’ efforts to gain competitive advantages. What do you wish to achieve through social media use in your context (e.g., size of organization, industry and product)? How does social media affect your organization’s key drivers and outcomes? Are your measurement and monitoring methods transparent (repeatability/replicability and validity)? 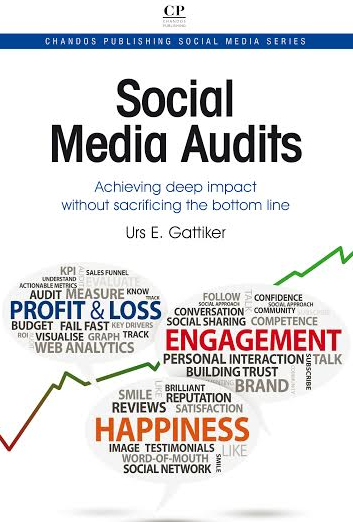 How do you benchmark your social media activities according to best practice? How do you effectively communicate with management about data collected through monitoring? How are changes in social media marketing implemented and monitored for success? Are changes made due to tracked monitoring results? Clearly, a simple yes or no to these question does not provide enough insight to be of use, so we will publish more detailed answers to these questions over the coming weeks. You may also bookmark this post, since we will add hyperlinks to the answers as we publish them. This series of blog posts guides industry and marketing professionals through talking the social media measurement talk with C-Level executives and reporting its benefits. We also demonstrate how to walk the walk to the revenue table by leveraging social media monitoring efforts through development of metrics focusing on the key drivers in your business. With compelling graphics and real-life examples from ComMetrics’ own metrics and tools, this series clearly delineates measurement and benchmarking best practice for your social media marketing activities. Our techniques facilitate harnessing the right data to improve social media ROI (return on investment). In short, we explain how to measure social media efforts on various platforms such as Facebook, Xing and LinkedIn, as well as corporate blogs. Of course, this enables you to reap the rewards in your business context. REMEMBER! Start measuring for impact – begin using My.ComMetrics.com from CyTRAP Labs to benchmark and improve your blog’s performance. Social media monitoring most used for communications strategy – report with self-selection bias? Disagree? Sure. Leave a comment! Social media monitoring companies generally have a tough time correlating social data with your key business performance metrics. They’ll offer you nice charts, fancy graphs, and the sentiment surrounding your brand or products, but when it comes down to how it ties in to your business processes, a rift exists. Social data + advanced analytics + strategic alignment with business metrics = social media business intelligence. Not only do you get the monitoring, but you get the output, the custom reporting, trending, the deep analytics, and the motivations behind why people say what they say online. Bind this all together with the strategy your company needs to tie everything together for your business and THATS how you make money digesting social data. Keep EvoApp on your radar. Thanks for the post, i’ll check out your guide. all the tools may not be very helpful. Hence, we decided to use KISS (Keep it Simple Stupid) metrics to make it straight forward for managers. Yes, I will keep EvoApp on my radar and I hope you start benchmarking your weblogs with My.ComMetrics.com and improve your blog’s performance..
@sdolukhanov, I hope to see your feedback again soon on my blog. Thanks for sharing. For sure! The company needs to understand exactly what it wants from social data before the process even begins. That’s the only way to choose a direction in this space! Thanks again for your reply. We both agree that the company must understand where it it is trying to go (have a strategy) and check if it is still on course to get to the moon and the stars so to speak. However, many of the monitoring tools provide me with information regarding numbers of any kind and every kind, except those that help me demonstrate how certain social media activities related to my key drivers. @CameronCarter:disqus Thanks for stopping by reading our blog. Merci for this link /URL you provided. This is really interesting regarding calculating the ROI that is an interesting post indeed. Sure helpful. I definitely agree with you that the goals one has regarding use of social media – what I call purpose and goals – is the critical first step as you point out. Nevertheless, some suggest that instead of spending too much time having conversations on Twitter you better focus on improving your skills, getting another sale and providing good content (e.g., checklist, how to do list, white paper, etc.) to your target audience by allowing them to download the material from your weblog or webpage. Previous post: Can infographics show you the money? Next post: 10 case studies: Is management on board?